"ARROWS AND FLOWER", 2018 is a collaborative work by Japanese artist Takashi Murakami and Louis Vuitton Men's Artistic Director Virgil Abloh. The work was exhibited in TECHNICOLOR 2 at Gagosian Paris. 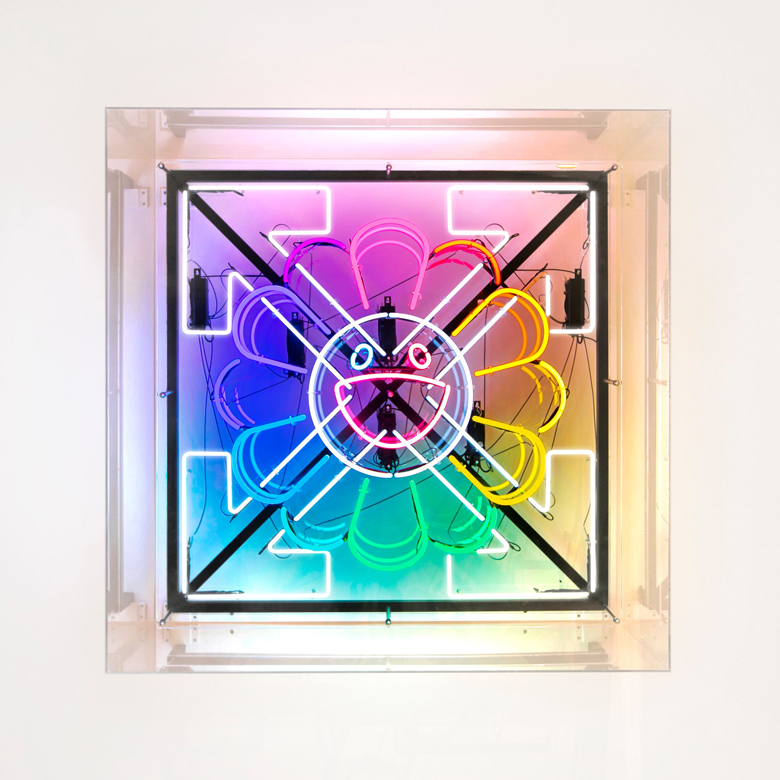 In "ARROWS AND FLOWER", 2018, Murakami's iconic, smiling flower motif is emerged with Abloh's signature four-point arrow logo. The fusion of each artist's trademark iconography signals two different worlds coming together - the resulting artwork achieves a vision made possible by collaboration.